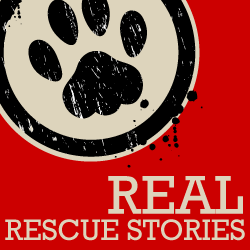 I know that lots of my readers would enjoy being able to attend the Blog Paws Conference. So I asked Mom L to share just a few more photos on my blog; the remainder will be on my Ms Savvy Do Face Book Page later today. The first slide show gives you an idea of all the totally pawsome products that were on display in the Cat Lounge. This is a special area in the exhibitors hall set aside for ‘just cat’ stuff. 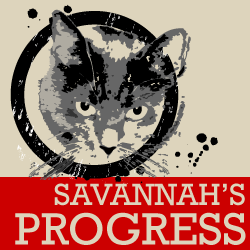 Miss Kate Benjamin of Hauspanther works with a ton of vendors to bring fabulous cat products for our enjoyment. And best of all, anyone can fill out an entry form and at the end of the conference, Miss Benjamin pulls entries from a magic hat and all the products you see are given away to lucky conference attendees!! Bummer for me that Mom L did not win anything this year…pffttt! And of course every attendee was given a “Swag Bag”…you could get a dog or cat specific bag. Mom L, or course, chose the Cat Swag Bag. 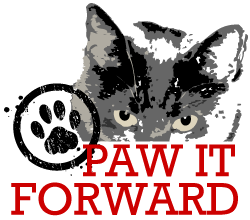 I will be GIVING AWAY A COMPLETE BLOG PAWS SWAG BAG next week; so stay tuned. Mom L had to ask her friend Miss Janet from The Cat On My Head to take hers home (Miss Janet drove) and then mail it to Mom L. Remember, Mom L had to leave a day early to get back to me and TKS and to get back to home hunting. Hope you enjoyed seeing another part of Blog Paws 2015. 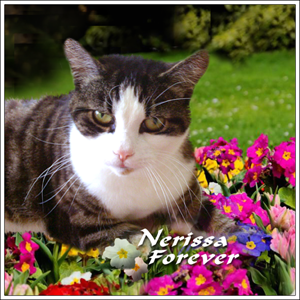 Again be sure to visit my Face Book Page later today to see some of my pals Mom L met! Loved all the kitty wall deco, wish there was more room in our house, I would put it up for the boys. Great swag bag! Mee-yow wow Savannah that iss sum ‘swag bag’!!!! Glad yur Mumma got home safelee an all iss well there. WOW, so much fun and great stuff! Wow, that looks like a great swag bag. 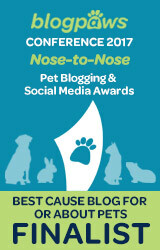 We sure hope we are able to attend BlogPaws again one of these years. BFGF, I’m sorry we didn’t get to visit the Cat Lounge together like last time! We didn’t get enought time together and neither did TW and Mom L. We hope you get the purrfect home. 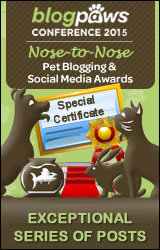 Concats on the Nose to Nose certificate win even if we still din’t know which blog series. We sure enjoyed the photos Savvy! Maybe one day we will get to go back. Wow! Some of those cat tree/condos/walls is so cool…mes would LOVES them! Very cool. Must have been wonderful to attend one of these in the future. The head peep loved seeing Mom L, and she was sorry that she had to leave early like that. Paws crossed that she finds the purrrfect place for all of you to live very soon! We haven’t gotten our swag yet. Our mom must be taking lessons from the Island Cats’ mom. Mom Paula did win a scratching post from the Cat Lounge and we love it. Mom Paula also loved seeing Mom L again. The swag is awesome, isn’t it?! We’ve only gotten to enjoy a few things so far… we look forward to more to come! Going over to FB to check out your other photos. Those cat trees with the fake plants look awesome! Looks like your mom had a great time there. It was fun seeing everyone’s photos. My mom was so glad to meet your mom! Since mom took pictures of our swag in the hotel, we have already gotten some of it. She has put away most of the toys but we’ve gotten some treats and some of the food. Pawsome!! Good luck with the house hunting. I was so lucky that I got to see the Cat Style Lounge for real and play with some of the things there! Plus be one of the first kitties to get to see what was in the swag bag before it came home! I loved my first BlogPaws and can’t wait to go again! What a GREAT bunch of loot AND so many very cool products there like the cat tree and kitty beds (love the watermelon and sharkie!!!! )…………I just know that Blogpaws is a ton of fun for everyone who is lucky enough to go. Thanks for sharing the photos – not QUITE like being there but tons of fun anyway! Looks like some very cool stuff! love the cat ball, Cody has one and the Jackson Galaxy stuff! Something SUPER COOL from the Cat Lounge will be making an appearance on our blog in the next month or so………. (hint:it’s being built)…………couldn’t be more excited! The watermelon bed is the cutest thing ever. Who wouldn’t want to be inside a watermelon? So cute! but we can see de swag bagz show….total lee awesum bunch oh goods mom came home with for ewe both….N best fishes two everee one on winnin one…. !!! It looks like Christmas has come early!! What swag!! Amazing! Awesome swag bag! And Hauspanther always has great stuff, or at least that is what Meowm tells us! Meowm can’t wait to go next year! Great photos 🙂 I wish I could have gone. Mom wishes she could go to Blogpaws someday. Too bad it’s in Phoenix next year since she was in Arizona THIS year when Blogpaws was going on!! Duh…..great timing Mom. So much wonderful stuff for us kitties, but still, no Hexbug with a feather taped to the back. Sometimes toys your HuMom puts together are the best. We haven’t gotten our swag yet! The mom said something about wanting to take pictures and she didn’t have the time yet. Pffttttt! is that a bridge for cats? what a wonderful idea !…but it’s probably not good to drink that vodka before you enter that bridge, right?